Recently I heard a well respected Muslim scholar of Islamic studies speak on the topic of the growing threat of the terrorist group ISIS. Her perspective as an academic who is also an observant religious person helped the audience better understand what it’s like for her to defend her faith daily. She said that when people in America see her headscarf, too often the automatic assumption is that she is a terrorist, and if not her, then her uncle or brother. It won’t surprise many of you to hear that what she just said captured my full attention. 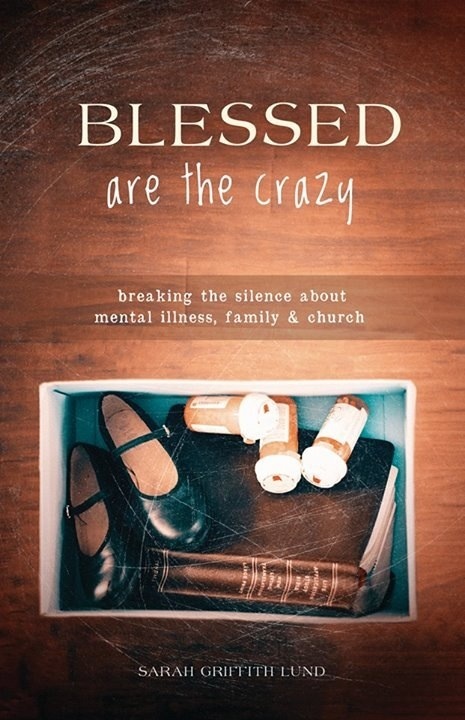 In my thinking and writing about mental illness I’ve used the provocative word “crazy.” Using this word empowers me to claim my own experiences and story surrounding mental illness. It is liberating. However, when I heard this Muslim scholar use the word “crazy” in this context, I felt like she was talking about me. It felt like she was calling me a terrorist. She used the word “crazy” to mean “other” and to distance faithful Muslims like herself from being lumped into the same category as extremists. Yet, what does she mean by crazy? I wished I had asked her. When we label terrorists as crazy I think we make a serious mistake. Perhaps there is an element of mental illness involved: research shows that 25% of adults have mental illness. And I’d guess that people with unstable mental health are easy targets for being recruited into these extremist movements. My own father who was bipolar joined a non-violent, but extreme political party that fit into his delusional and paranoid thinking. What troubles me most about her statement was that while she didn’t like being thought of as a terrorist because of her headscarf, I don’t want people with mental illness to be thought of as terrorists either. Being Muslim does not a terrorist make. And having a mental illness does not a terrorist make. I’m not defending ISIS. But I am defending crazy people who have a real, organic brain disease or mental disturbance. Call ISIS whatever you want, but don’t call them crazy.